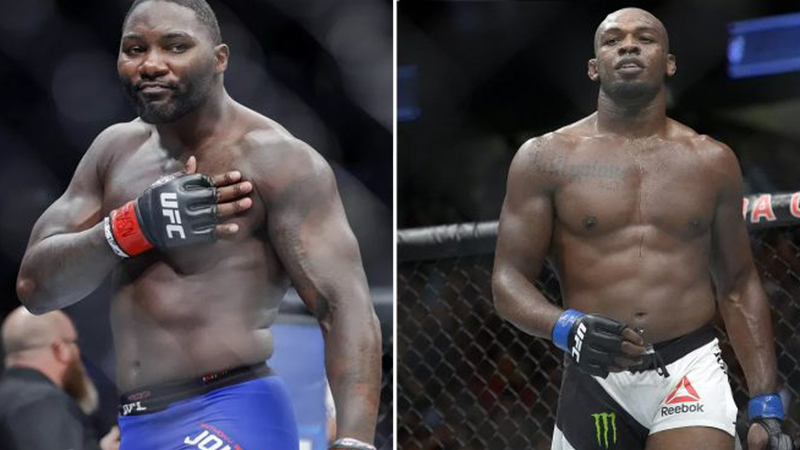 A former UFC superstar, Anthony “Rumble” Johnson, crossed his path with Jon “Bones” Jones at a body building event. These two fighters were already set to meet inside the Octagon at UFC 187 on May 23, 2015, in a UFC Light Heavyweight title match. Jones was stripped of the title due to a hit-and-run incident on April 28, so their fight never happened. Jon Jones is still one of the most controversial fighters. He is the only fighter who received three title stripes. His rematch versus Daniel Cormier was slated for UFC 200 on July 9, 2016. Yet, USADA removed him from the bout on July 6, 2016, due to a doping violation. His title was taken and USADA suspended him for one year. Jones returned and defeated Daniel Cormier via head kick KO at UFC 214 on July 29, 2017. Yet, the fight was overturned to no contest after positive tests on Turinabol. At the moment, Jon Jones is awaiting USADA final verdict. Jon Jones has already made few critical errors in the hearing. The former pound-to-pound number one might face the maximum four-year sentence. Anthony Johnson was one of the best one-punch knockout artists. He sent Chad Rainer to sleep at UFC Fight Night 10 on June 12, 2007, after only 13 seconds. Many thought it was a lucky shot. Yet, Rumble did absolutely the same thing versus Glover Teixeira at UFC 202 on August 20, 2016. Rumble retired after the second title shot loss to Daniel Cormier at UFC 210 on April 8, 2017. There were rumors Anthony Johnson might return to fighting in 2017 but this never happened. At the moment, he focuses on bodybuilding. The two legends met each other at the Gatt Supplements Expo in Las Vegas, Nevada. Take a look at the epic staredown below! Jon Jones believes he might return sooner than expected. What are your thoughts on this staredown? Would you like to see The Rumble inside the octagon again?